Our plan is ready to go. Read the details here! 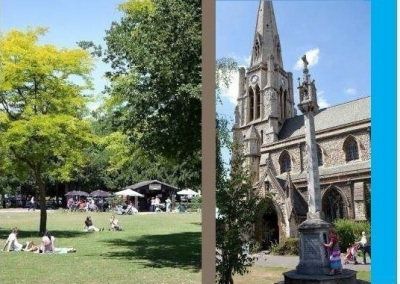 The Central Ealing Neighbourhood Forum (CENF) has working on ideas which people have contributed from across the area, after we asked for your views in a public consultation in 2014. We received over 300 suggestions and have since turned these ideas into practical policies in a local plan. Last year, you commented on what we did and the resulting revised plan will soon go to Ealing Council as the next stage in converting it into official policy. Our AGM on Wednesday 29 June ​(details here) agreed we should now press ahead to the next stage. . The Forum is a voluntary organisation bringing together residents, community groups, businesses and key stakeholders. 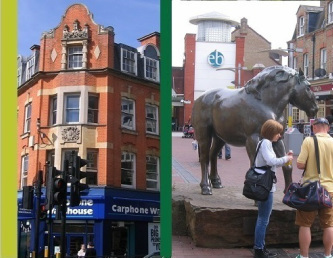 It aims to deliver projects that will give Ealing a vital, thriving and sustainable town centre. There’s so much change waiting to happen in Ealing, with the public Inquiry into the plans for a cinema, development of 9-42 The Broadway (previously the Arcadia Centre) imminent and a little thing called Crossrail on the horizon. But how much do you feel your voice is being listened to? The Forum is recognised under the Localism Act as a body set up to create a Neighbourhood Plan. The plan will help shape the future we want to see for Central Ealing, which is officially a 'business area' stretching from Haven Green to the University and including the 'office quarter' to the west. ​CENF is overseeing the delivery of the Plan. We have worked through four topic groups (listed under the Our Vision tab above) to develop your ideas – find out more on each page. The details are now waiting for your comments. We want to hear from you. Everyone can take part. It's free to all who live, work, study or just visit here to join and to contribute ideas. Our second round of discussions on the issues and options called "Your Town - Your Plan" on what should be covered in our Plan gave us your views, and now we need to hear from you on how you think we have done in turning these into local planning policies. Do have a look at the policies we have drafted under each topic. You may think we've missed some obvious things, or have got the wrong idea about what people want. Let us know, so that we can consider your views before the plan finally goes to a vote at the referendum.